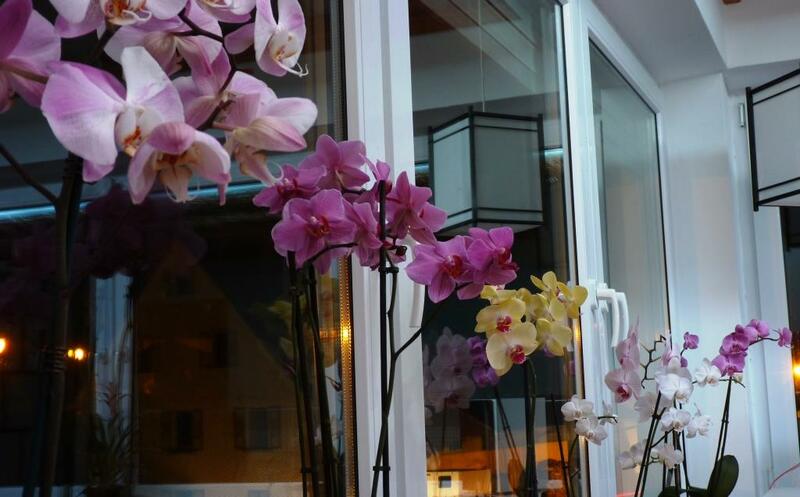 Home >> Home & DIYs >> How to take care of orchids? Help! My orchid is dying!!! Or so it looks like, right? 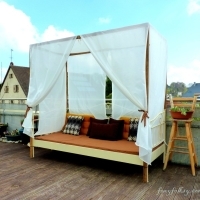 But before you panic, calm down and read this article about Phalaenopsis Orchid Care. I love love love orchids!!! They look so pretty, dainty and elegant. I’ve always like orchids but it was only until recently that I have the guts to be an orchid owner. Well, that is not entirely true. It was more like I was forced into being one. You see a relative gave me a Phalaenopsis orchid (also known as “Moth” orchid, maybe because the flower resembles a moth?! duh!) for my birthday 2 years ago. 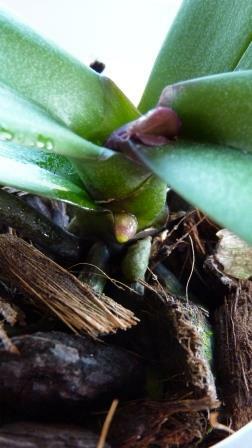 So there I was taking care of my phal the best I could. After some weeks though, it started to lose the all its flowers, so I panicked and started reading articles on how to take care of orchids. I read somewhere that you should cut the stem at the base so I did, later I read on another site that you should cut only before the first node closest to where the first flower was. Oh well, too late for that. Then I got another one from my husband for Valentine’s. But guess what? The same thing happened again. Weird eh?! After a year my phals didn’t have any new growth: no new flowers and no new leaf, instead the leaves started turning yellow. Panicking again, I read and learned then that I should re-pot it to check the roots as well. And yes, the roots were starting to rot, I guess I was watering too much. So I re-pot and hoped for the best. But then I went home to the Philippines and I left my precious babies to the caring hands of my husband. When I came back after 3 weeks, they are both dead! ( ;-( sniff, sniff) They drowned! Apparently, my husband got confused with my watering instruction with that of my other plants and watered the phals every other day!!Ooopppsss! The sad experience taught me a lot about proper caring for Phalaenopsis orchid. Now I have 6 of them and all are doing great. It is only natural that the flowers will start to wilt and fall after blooming for some time (some lasts to 2-3 months if well cared), so no need to panic…yet. 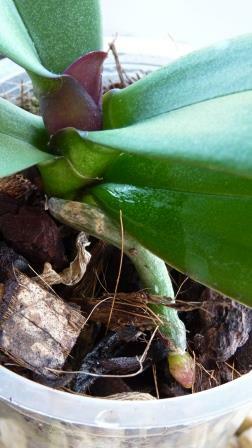 First, look for other signs on your phals to know if they are still in good shape. You can tell a lot about the health of your phals by just looking at the leaves. The leaves should be firm and not drooping, shiny and not wrinkled. Drooping and wrinkled leaves means they are not getting enough water. When they do get too much, they turn yellow and roots will start to rot. Ideally, the leaves should have a light green color, but a bit darker for darker colored flowers. Too dark green leaves mean that they are not getting enough sunlight but very light green leaves mean too much. They can also have a yellowish to red spot which means sunburn! Splitting of the leaves sometimes occur, it might look ugly but no need to worry, however, this usually happens when the plant was deprived of water at some time and was suddenly given a lot. Check the roots from time to time. Silvery looking roots could mean it’s time to water. But it also means they are in a healthy state, when wet they should be green. Brown and soggy roots are rotting roots. You should trim these away. When a lot of roots start to come out from the pot, then it says `repot me´. Water your phals in the morning. Avoid getting water in the crown or if you did, remove it by using cotton or cotton buds. Watering frequency varies, it is best to ask your phals directly. Stick a finger 3-4 cm inside a pot, if it’s dry then water. If it is still moist to your touch, the do not water yet. 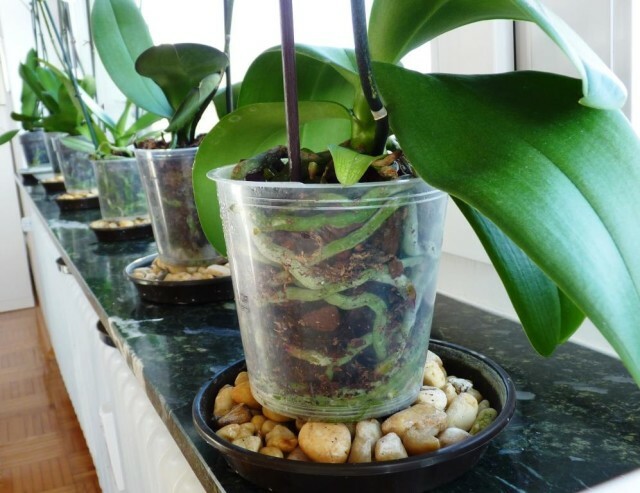 The best way to water your Phals is to let the water run through the roots and drain excess water. If you are using a pebble tray, then no need to bring them to the sink. Just water normally making sure that all roots gets wet and just let the excess water go to the pebble tray. 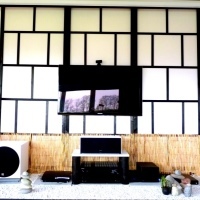 Try to move your plants around the house for different seasons. Place them on windowsills during winter to get enough sunlight but not on summer if your windowsill is directly facing the sun. Orchids like it humid and the temperature is also important. A humidity of 50% – 70% is ideal and a temperature of 70°-80°F (21°-26°C) during daytime and 60°-65°F (15°-18°C) at night will make your phals bloom longer. They can be exposed to a temperature as high as 95°F (35°C) or as low as 30°F (0°C) but only for short periods. For me to achieve the ideal humidity level. I followed the tip of using pebble trays. Just use a saucer, fill it with pebbles, fill it with water and place the pot on top making sure that the base of the pot does not sit on water. Ventilation is also a factor to consider, give them a breather from time to time like opening a window for some minutes or so. If you are a newbie I suggest using a transparent plastic pot (they usually sell them in these anyway) to easily observe the health of the roots and the plastic pot keeps the moisture much longer, so lesser watering. Also, when buying Phals choose a healthy one following the clues I mentioned above. You do not want to start with a difficult challenge for a beginner. Let’s leave that to the experts. How to achieve a crackle paint effect using glue! Hello, when repotting do you tuck the new roots growing outside the pot in the pot, or leave them out still? Cheers K.
Hi Kate, usually when I repot, I also cut old dead roots to give space to the new ones so when I put it back in the pot I push it down a bit so the new roots that shot up above are the inside or at least level with the pot. But if there are a lot of new roots and will not fit in, just let them be out the pot. As long as you give them a spray now and then they should be fine. Thank you for your article. It confirms what I read and have been doing. My orchid seems to be doing well, however, it bloomed 2 months ago, the stems turned brown and died. Since then the leaves keep getting bigger but I don’t see any more stems starting. Is this normal, and if it is, how long will I need to wait to have new stems start? Hi Marilyn, I think it is quite normal. It might take some time before the next stalk comes out, and Phals normally blooms 1-2 time a year lasting for 30 to 60 or even 120 days. I noticed from my collections of phals that they sometimes would have new leaves first before the new stalks form. With older ones sometimes a new stalk will form from the nodes of an old stalk so I usually just cut the stalk close to where the wilted bloom ends. Also, they need sunlight for them to bloom so depending on the location where you place them. But I would not get so worried about it, just be patient. Do you have to wait til blooming stops to repot? Can you repot it in small pebbles or bark? Hi Sally, I would wait, if possible after the blooming is done to minimize the stress on your plant and it can focus its energy on forming roots. Cut off dead roots at the same time. I would suggest the bark as the potting medium as it can retain moisture. Thank you so much for all your tips. My husband just bought me some orchids for my birthday which is nearly a month ago, but I noticed the books were staying to fall. I have about 4 blooms left and after reading your advice I realized I was caring for them improperly. After reading I immediately removed the 2 pots from the planter they were in and the planter was full of water. My poor orchids have been soaking all this time. I am doing all that I can now to keep them going. I really appreciate all your advice. Thanks again. Hi Darren, first, make sure you drain away the water. If it is in a pot without holes then transfer it to one with so it can easily dry out and breath. When you get the chance, re-pot it using bark as a medium. When all the flowers have gone from a stem, I was always told that the stem will eventually turn brown (dead) and I should cut it off near the base. Then lol and behold, by continuing my usual watering system, two new stems grew, and eventually flowered. Be aware though, it took almost a year for this progression. I was recently given a orchid that you water with 3 ice cubes once a week (per instructions that came with plant). The tag says it is a just add ice orchid. You can find info on Pinterest, you tube, and Facebook apparently about them. Thought some of you might be interested. I have only had my a few weeks and doing what it says and it had two blooms when I got it. Now I have nine. I too have killed any orchids. Hi Victoria, you can use the same pot if it is still fitting after cutting the old or dead roots. But if the roots have spread then get a bigger pot to allow the roots some space to breathe. 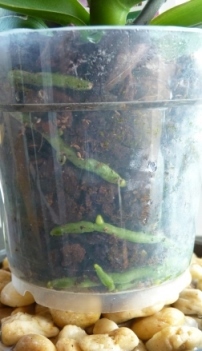 When it’s time to water, try running them under the kitchen faucet for about 5 minutes. I tried it after reading somewhere that it oxygenates the roots when doing that. Let drain completely before putting back in in its spot, and don’t water for another 10 to 14 days. I’ve been doing this for the last three years after years of sending my phals to orchid heaven and it works! I also re-pot about once a year, sometimes moving up in a bigger size pot or just trimming dead roots and replenishing the orchid bark with fresh pieces. East facing window or south/west with light diffusing shades or blinds. he tenido muchos problemas parecidos con mis phalenosis, ahora tengo nuevas ideas de manejo conlos consejos de este artículo, gracias. MY SISTER IN LAW HAS ORCHIDS AND PUTS ICE CUBES ON THEM AND THEY are doing well. is this not used anymore? do you use fertilizer in the water? i would like to try one, but so far only have many other plants in the BASEMENT BY 2 VERY LARGE WINDOWS AND THEY ARE DOING VERY WELL. MAYBE SOME DAY I WILL TRY AND GET ONE. Hi Pat, I also read about using ice cube to water orchids but I have never tried it. My personal opinion (and gut instinct) on this is that, it is against the nature of orchids, which naturally grows and thrives on warm or humid jungle but like I said, only my opinion…about fertilizing, I sometimes add a few drops of orchid fertilizer (liquid) to 2 liters of water, I do it once a month (if I remember at all).. I love flowers, from roses to orchids. Inspired by your blog, I would try to grow one again and try my luck. On top of this, I would also love to try the recipe for white bread and ensaymada. So, wish me luck! Hi Amor! I hope all goes well with your plans! But I am sure it will..sometimes it just needs patience and determination!? I love orchids and always have. I had an Aunt who grew them in a large screened porch. They were beautiful, she had at least 20 of them and it seemed one of them or more were always in their full splendor, blooms reaching into the air. To make a long story short one year one of my kids asked me what I wanted for “Mother’s Day?” I said “an orchid” surprising even myself! I had NO idea how to take care of one. 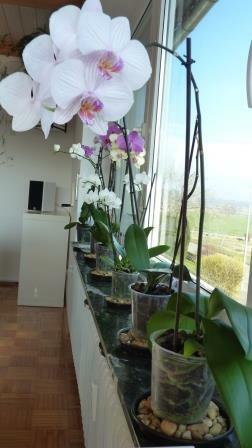 Now it is many years later and I now have 12 orchids, since all of my children started buying them for me. I live in Minnesota to give you an idea of how difficult it can be. My orchids are doing well considering it is mid-January. I also got one this year that was blooming beautifully when I received it and now I notice it is growing in dirt! It seemed a bit sad, but until I actually stuck my finger into the soil, I didn’t know it was soil. I am not a great houseplant person, they always seem to die on me. But my orchids seem to know how much I love them and bloom for me to this day. I have to repot this spring for the 3rd time! So far so good! Thanks for the article, I enjoyed it! Hi Dawn, I am glad you enjoyed this article and thanks for sharing your story. 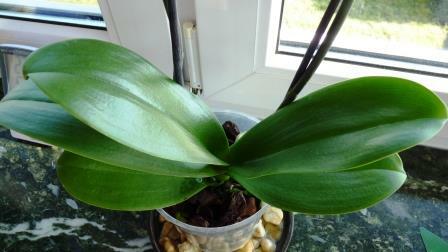 I know what you mean…my phals are also a source of joy for me specially when they are in full bloom! Do not give up Susan! I know what you mean, I’ve been there too! I hope these tips help! Goodluck! I read your post about phals. I have three…given to me from my students as gifts. After the blooms die, the stem where the blooms were also turns brown and dies. Did I do something wrong? Will a new one grow for more blooms? I’ve had two phals for about 4 months and no new stem has grown. Don’t know what to do. Your help would be greatly appreciated. 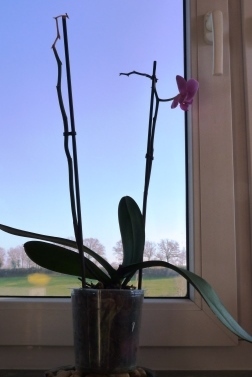 Some phals would have more branches coming out from the same stem while others will only have one bloom per stem and then new one or two will come out for the next blooms. First can you check for the signs that your phals are healthy? look at the leaves and roots, refer to my list. Usually they would bloom again if they are getting enough sun and right amount of water and humidity. Are they in a pot? Remember the roots would like to breath too so check if there is room for air circulation.